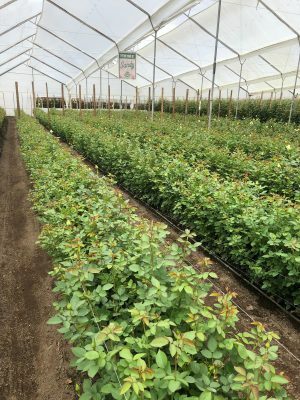 Farm Fresh Friday is finally back with fresh updates from our rose farm, Jet Fresh Flower Growers, S.A.
Mike flew down to Ecuador this week to visit the farm as well as the breeder, De Ruiter. It was a great week filled with updates from our greenhouses including new varieties growing soon and available in 2019. 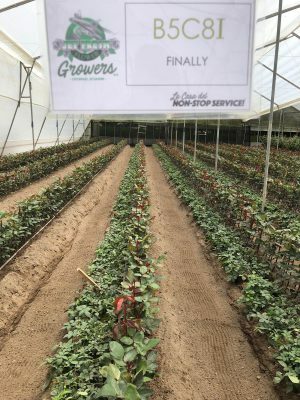 This week, Mike and Juanita took a great tour of De Ruiter’s showroom/testing ground to see the amazing varieties they’re breeding and growing soon at Jet Fresh Flower Growers, S.A. 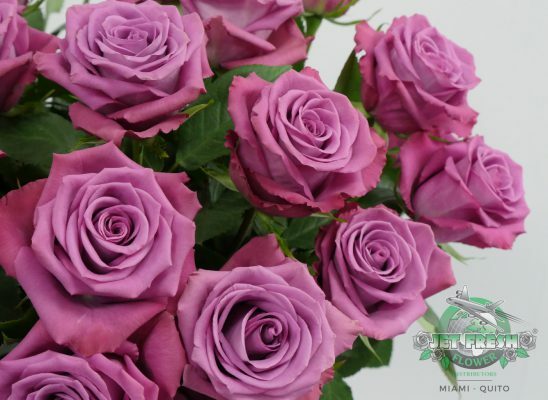 Growing soon at our farm, Jet Fresh Flower Growers, S.A. in Cotopaxi, Ecuador is lovely purple/lavender variety, Piacere from the breeder, De Ruiter. 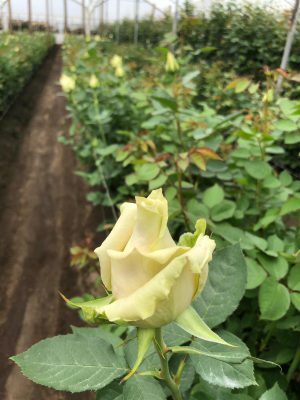 Mike had the pleasure of walking through the Piacere beds inside De Ruiter’s showroom to see how these roses perform at the farm. We can’t wait for you to see them! Our farm has been very busy planting and growing exciting, new varieties that will be in available in 2019. 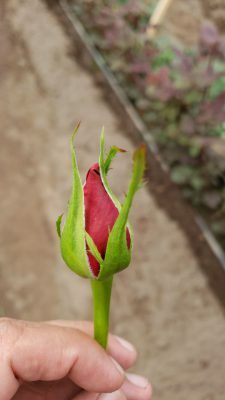 Following our newest rose variety, Sandy, we have more updates from other varieties also growing at our farm. Sandy, from the breeders, Jan Spek Rozen and Conectiflor, is performing beautifully at our farm. 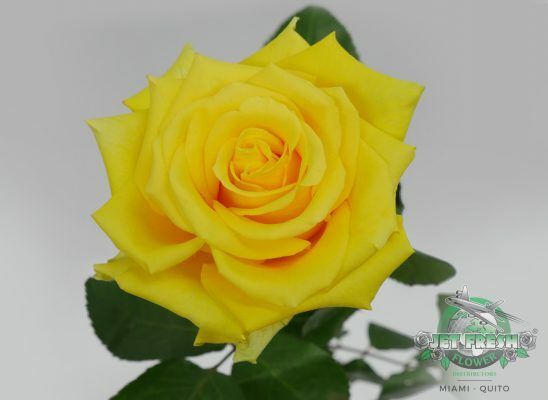 It’s being well-received as a wedding and event rose, and a great substitute for the highly demanded rose, Sahara. This creamy rose variety has gorgeous blush-antique petals which are elegant and complementary in so many different color schemes. One of the latest updates from Jet Fresh Flower Growers, S.A. comes from the bed of our new Finally plants by the breeder, United Selections. Christmas came early this year with the birth of our very first Finally button. 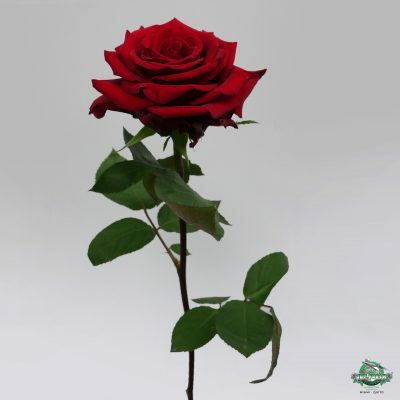 We’re so excited for the progress coming from these highly anticipated red roses. Watch as Mike shows us the first production of red Finally from inside the greenhouse. 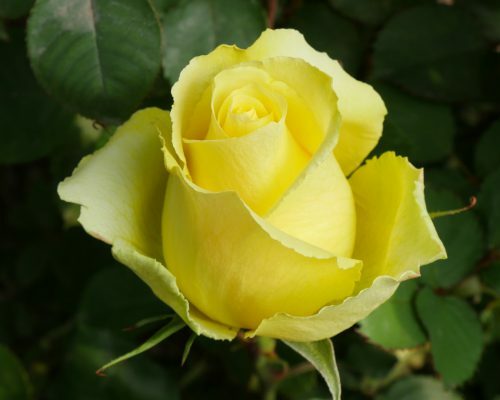 Lighthouse is our most-anticipated, highest-demanded yellow rose for 2019. 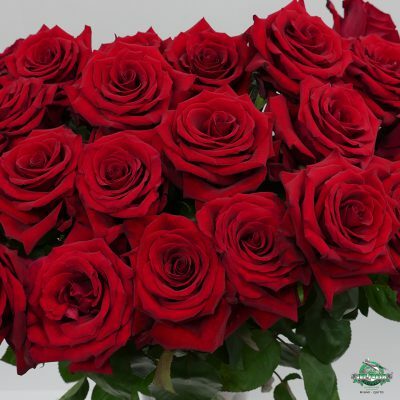 This vibrant variety also from the breeder, United Selections is part of their new “House” series roses and now growing at our farm, Jet Fresh Flower Growers, S.A. 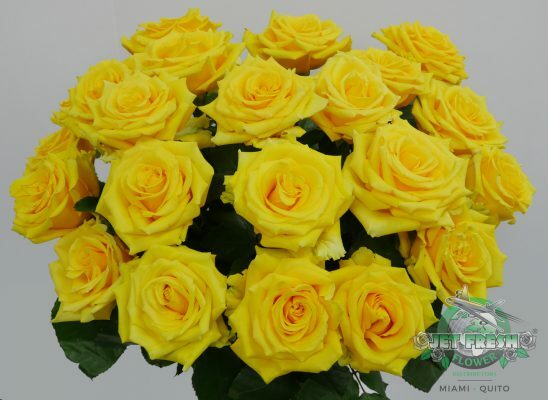 This large yellow rose opens fully revealing beautiful, bright petals that stand out in any floral arrangement. 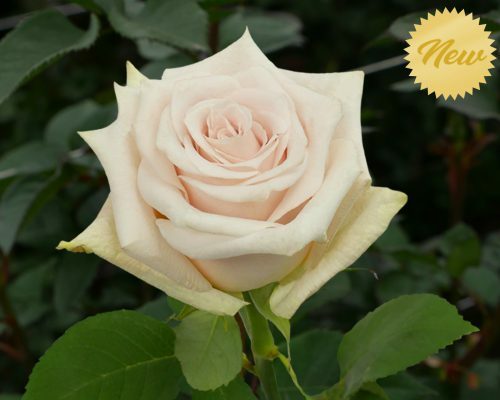 We’re so excited for this rose to be available at our farm. The plants look very healthy! 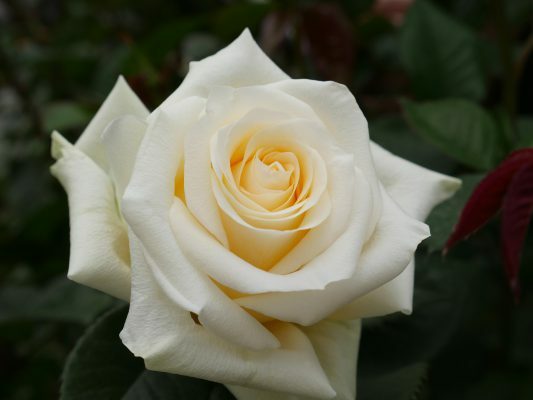 Creme de la Creme, available now at Jet Fresh Flower Growers, S.A. is the perfect year-round rose for any occasion. 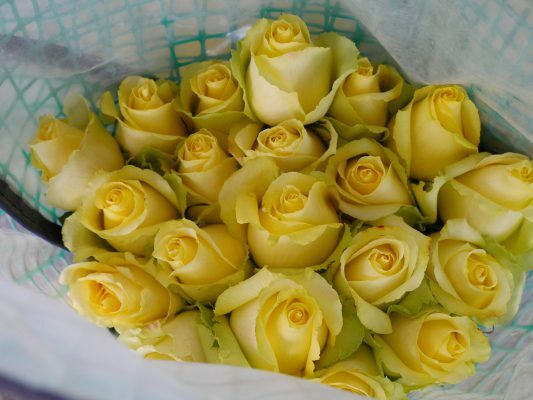 This elegant variety has a creamy yellow center that creates depth as it blooms standing out in bridal bouquets and arrangements. Mike was also in our Creme de la Creme bed showing us this lovely variety straight from the source. He’s so lucky. 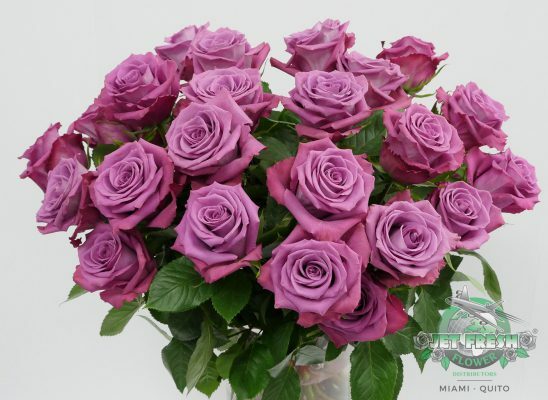 Tara is another great variety available year-round and growing at Jet Fresh Flower Distributors. In the video below, Mike is admiring our tall Tara stems, about 60 cm high, and giving her a well-deserved compliment. Our block 11 (bloque 11) is almost ready. Mother plants are in the final stages of installation, and grafting has already begun for a brand-new variety. Stay tuned for more updates coming from block 11. 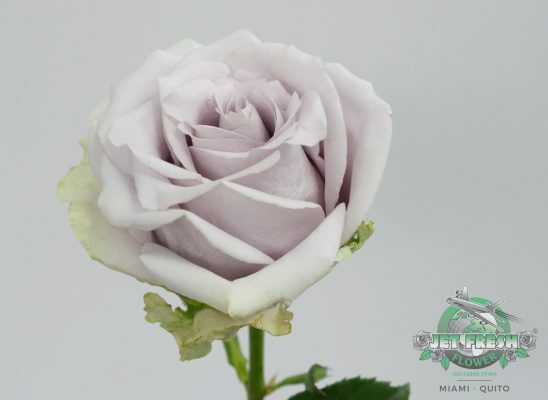 Also coming soon to Jet Fresh Flower Growers, S.A. is the new variety Silvery Light by the breeder, NIRP International. In this new episode of JFTV presents Jason Knows Flowers???? Jason introduces to us this gorgeous light lavender variety. 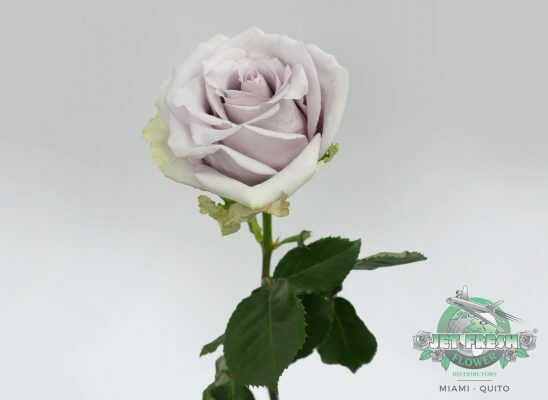 This rose is lovely for any occasion, especially weddings and events for its pastel tone. Learn more about Silvery Light with Jason. JFTV proudly presents a new series coming straight from our farm in Cotopaxi, Ecuador. JFTV: Meet Our Quito Equipo is dedicated to highlighting dedicated team members of our Jet Fresh Flower Growers family. 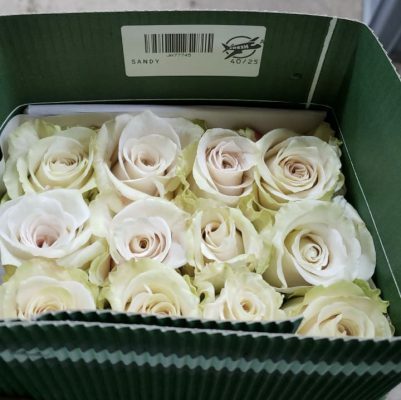 Join Juanita as she introduces Luis, our Postharvest Manager at Jet Fresh Flower Growers, S.A. Luis, is in charge of our postharvest department, and making sure only the best roses are selected for packaging and shipping. 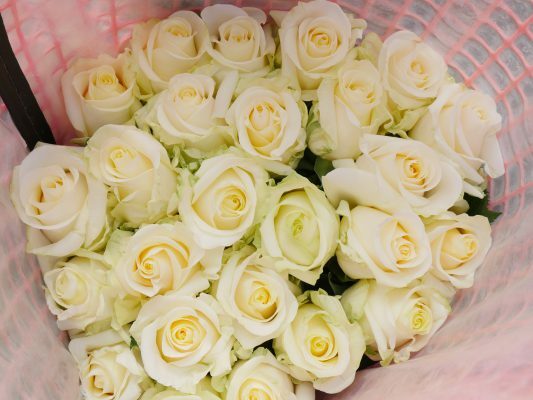 Click to learn more about Jet Fresh Flower Growers, S.A. Discover all the varieties that we currently have available and coming soon. To order any of these varieties please contact our sales team at Sales@JetFreshFlowers.com. For general information from our farm, or to schedule a private tour please contact Growers@JetFreshFlowers.com. This entry was posted in Jet Fresh Flower Growers, News and tagged de ruiter, farm fresh Friday, Jet Fresh Flower Growers.